Signature Series Model SIGA-HFS and SIGA-HRS Intelligent Heat Detectors gather analog information from their fixed temperature and/or rate-of-rise heat sensing elements and converts it into digital signals. People detect danger by relating many observations to one another and comparing them to familiar patterns. The simultaneous use of multiple senses allow humans to filter out situations which are not dangerous. 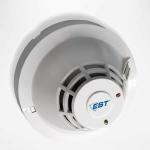 The Signature Series Model SIGA-PHS Intelligent 3D Multisensor Detector gathers analog information from each of its two fire sensing elements (photoelectric and heat) and converts it into digital signals. 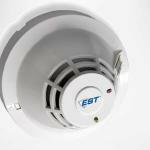 The Signature Series Model SIGA-PS Intelligent Photoelectric Smoke Detector gathers analog information from its smoke sensing element and converts it into digital signals. Signature Series SIGA2-COS carbon monixide detectors bring advanced sensing technology to a practical design that increases efficiency, saves installation time, cuts costs, and extends life safety capabilities. 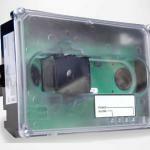 Signature Series fixed temperature and rate-of-rise heat detectors bring advanced sensing technology to a practical design that increases efficiency, saves installation time, cuts costs, and extends property protection capabilities. Signature Series SIGA2-PH(CO)S photoelectric detectors bring advanced multisensing technology to a practical design that increases efficiency, saves installation time, cuts costs, and extends life safety and property protection capabilities. Signature Series SIGA2-P(CO)S photoelectric detectors bring advanced sensing technology to a practical design that increases efficiency, saves installation time, cuts costs, and extends life safety and property protection capabilities. 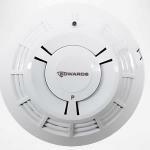 The Edwards SuperDuct Signature Series smoke detector is the most advanced and most reliable device in its class. Designed for easy installation and superb reliability, SuperDuct represents the perfect balance of practical design and advanced technology. 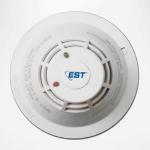 The SIGA-HRD is an intelligent fixed temperature/rate-of-rise fire detector. 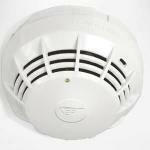 It monitors the temperature of the surrounding air and analyzes the data from the sensor to determine whether to initiate an alarm. 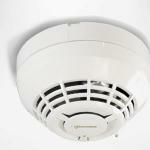 The Signature Series SIGA-PD optical smoke detector brings advanced sensing technology to a practical design that increases efficiency, saves installation time, cuts costs, and extends life safety and property protection capabilities.